Welcome to Kenya. You’re probably familiar with its most famous sights from photographs: vast savannas; the Masai Mara and the people who live on it, with their bright red, shukas and beaded garlands; big cats and rugged mountain ranges. No doubt, you’ve seen images of the migration, where wildebeest and zebra hotfoot it in droves from July to September. It’s amazing. But don’t forget that there are other times of year when it’s worth visiting, too and there is more to Kenya than this iconic area. There’s Chyulu Hills, with their mind-blowing views of Kilimanjaro. The beautiful Laikipia area, where game reserves and private ranches are opening up huge areas to conservation and uplifting local communities. Then there’s the dry Samburu area, home to the colourful Samburu people and their camels. In short, Kenya is a country of an endless variety, terrains and experiences that stoke our deepest passions for this fascinating continent. While most visitors to Kenya fly in, head for safari and combine with stay on the coast or head to Zanzibar or the Seychelles there are other parts of the country that are not to be missed. 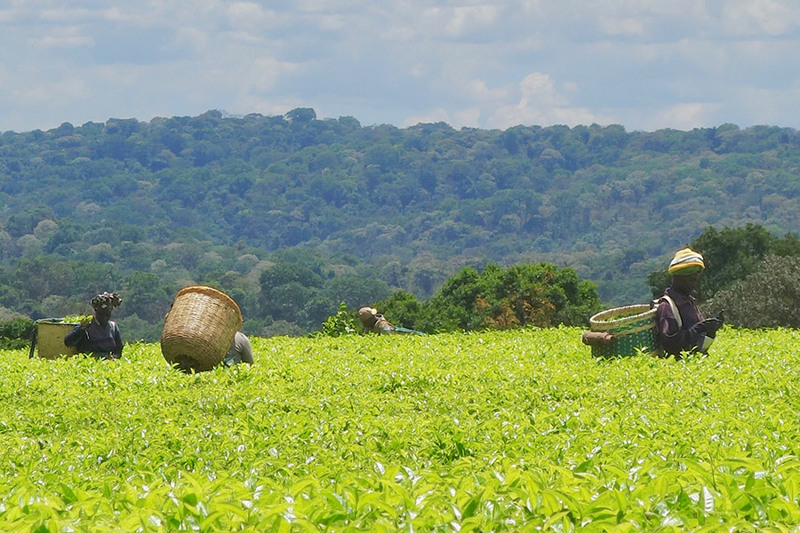 On our family holiday earlier in the year we choose to head west from Nairobi to Lake Victoria, onto the tea country surrounding Kericho and then further into Great Rift Valley to explore the lakes and wildlife of this vast valley. The tea plantations of Kericho and surrounding area provide some of the world’s largest coffee and tea exports and are incredible to explore, also educating in terms of how some of the companies involved in the manufacture of the tea support local communities with sustainable living. Our visit to a local school was fascinating and engaging. The whole school gave us a wonderful show of music and dance which they had been practising for the Kenyan National Schools Music Festival. A stay with my friend and colleague Gail and her husband allowed us to catch up on all things work and family. It also gave us the opportunity to explore the area with “locals” and experience sundowners on the local airstrip, a small runway in the middle of the tea estate, that Gail had frequently talked about. After Kericho we headed north east on a 3 hour drive to Lake Baringo. On arrival a short boat ride took us to one of Kenya’s most secluded and oldest tented island camps. 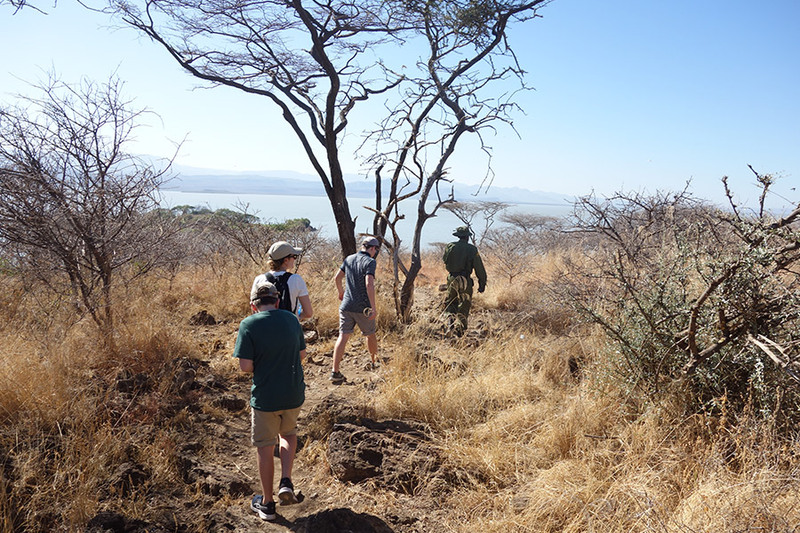 Guided nature walks took us up close with the Rothschild’s giraffe and ostriches and boat trips took us in search of crocodiles, hippos and the many different birds species that live in and around Lake Baringo. Not that we needed to look far for the crocodiles as one floated past our tent early one evening! From Baringo we were collected by our driver / guide for our trip south to Lake Elementeita via Nakuru National Park. 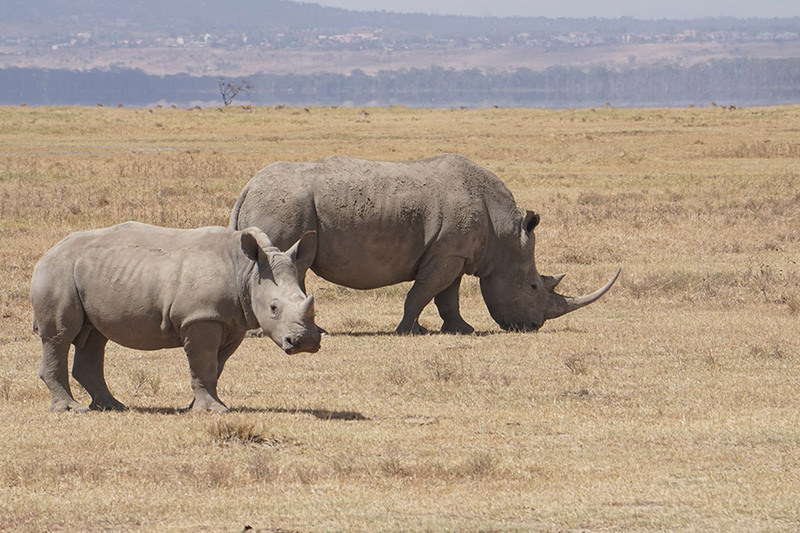 Nakuru National Park lies on the floor of the Great Rift Valley and is surrounded by woodland and bushy grassland whilst being home to abundant wildlife and birdlife. For our first game drive experience we were not disappointed with sightings of rhino, zebra, warthog, baboons and buffalo. The park is also home to lions and leopards but during our time they decided to be rather elusive. A short drive, in the scheme of the distances we had travelled so far on our trip, took us from Nakuru to Lake Elmenteita Serena Camp for our last night. Serena Camp is a small and exclusive boutique camp located on the shores of the flamingo and pelican fringed Lake Elementeita that lies within the Soysambu Conservancy. The tents were beautifully furnished with their own private verandas overlooking the lake and the restaurant overlooked a small watering hole that brought zebras close to the camp at night, quite something to watch when we were eating dinner. We didn’t have time for the many activities that Serena Camp offers such as archery, yoga, water aerobics, swimming, and water colour painting but as we were only 2 hours from Nairobi we managed one last game drive on our departure day. 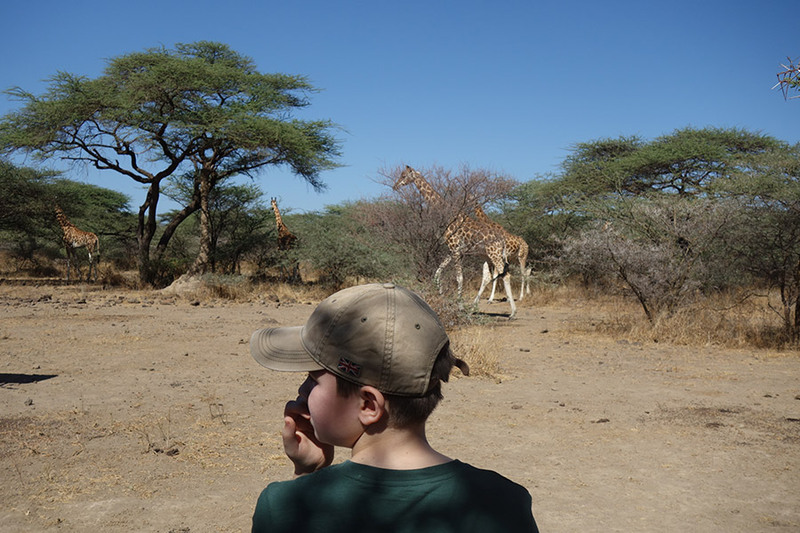 Sadly, again no sightings of lion or leopard but we got to see more giraffes, hundreds of flamingo and pelicans and were left with great memories from our first family safari experience. 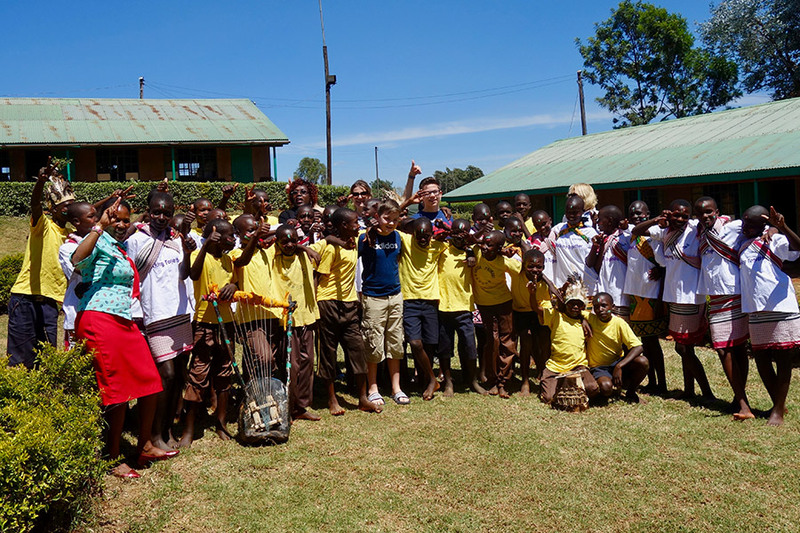 Helen travelled to Kenya with her family in February.